From storage liens to auto loans, the Servicemembers Civil Relief Act affords active-duty military members a wide range of financial and legal protections. For most debt collectors, including lenders, self-storage facility owners, cell phone providers and more, the trick is learning when the person in question entered active duty. During this time, the SCRA grants them relief from many debts and other obligations. Under the SCRA, almost all collections matters such as foreclosure, restitution and replevin, require a court order to proceed if the defendant is in active military service. But often the servicemember can sign a waiver for SCRA protections, which would allow debt collection and other recourses. Certain elements have to be in place for an SCRA waiver to be valid in a court of law. Timing of the waiver is a crucial factor. Like the protections themselves, a waiver is lawful only if it is signed after the active duty start date. It is invalid if signed before the active duty start date. Therefore, it is crucial to know the servicemembers’ active-duty start date. You can download a Sample SCRA Waiver here, but it should be utilized only after you consult an attorney in your state. While waivers can be useful for businesses and debt collectors, borrowers must weigh them carefully. Courts will likely scrutinize waivers carefully and resolve all discrepancies against the creditor. Similarly, businesses should avoid requiring an SCRA waiver before entering a contract. For example, requiring a waiver before even offering a quote can be problematic. This is a delicate area of the law. Courts may view businesses as unfair if they appear to take advantage of either the waiver provisions or of the servicemembers. 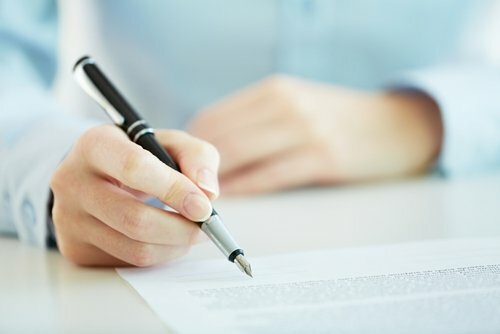 Borrowers should consider consulting with legal counsel before signing a waiver, and should carefully review any waivers that forgo a broad set of rights. Waivers that focus on one specific debt, or are in the borrowers’ best interests — like when negotiating a mortgage default — are easier to find and more common today. As to waivers relating to loans, a different law, the Military Lending Act, went into effect on Oct. 1, 2015. This law forbids a lender from requiring a waiver as a condition of the loan. Another specific consideration for SCRA waivers relates to the National Mortgage Settlement. This agreement was among lawmakers and several major mortgage servicers. The result of the agreement was to improve consumer financial protections for distressed borrowers and works to prevent predatory foreclosure practices. The National Mortgage Settlement also involves a few specific SCRA provisions, one being SCRA waivers. The participating lenders agreed to begin the waiver process at least 30 days before any foreclosure sale date. The settlement doesn’t require other servicers to do this, although courts can take it as a sign of good faith if creditors follow these standards. While a waiver may appear like a viable solution to a debt-collection problem, many specific scenarios have to be in place before it is valid. It is important for all businesses with contracts with servicemembers to know and follow these rules before taking any action. Penalties for violations can be steep. It is also important to keep in mind that, in addition to the federal Servicemembers Civil Relief Act, some states have enacted their own versions that give additional benefits and protections. The bottom line is that timing is everything. Find out exactly when the servicemember entered active duty; the waiver is only valid if the servicemember signed on or after that date. Conduct your military verification with care, and with professionals such as the Servicemembers Civil Relief Act Centralized Verification Service (SCRACVS).